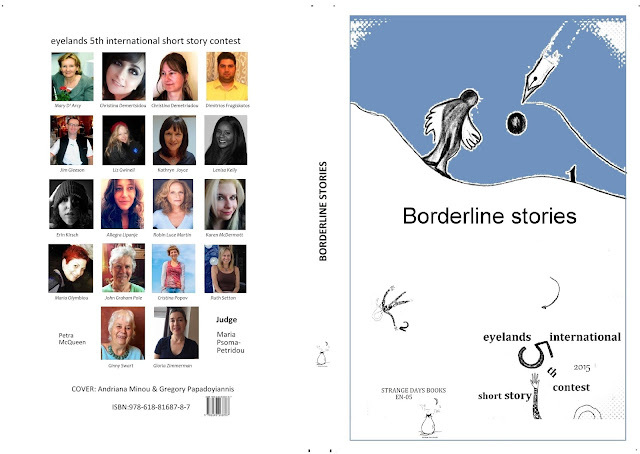 This is the 5th year of the International Short Story Contest held by www.eyelands.gr- still the only one based in Greece. Last year we published for the first time a book with the short listed stories of our 4th international short story conetest. This is the second book published by "Strange Days Books" with the collection of the short-listed stories of the 5th contest's international section. This year, many writers from countries all over the world took part in the contest , a fact that makes us feel delighted. It was encouraging and stimulating to read the writings from so many nationalities. Therefore we hope that next year we will have even more international entries and the contest will become better and better. Many thanks to all of you who participated in our 5th International Short Story Contest!